WASHINGTON, DC – September 10, 2013 – (RealEstateRama) — Most real estate firms are small, independent businesses that specialize in residential brokerage, with 69 percent of all firms expecting profitability to increase over the next year, according to the 2013 National Association of Realtors® Profile of Real Estate Firms. Eighty-four percent of real estate firms are independent, non-franchised companies, while 13 percent are independent franchises; the rest are subsidiaries of a national or regional corporation. Independent firms generally have fewer agents and lower sales volumes. Eight out of 10 firms specialize in residential brokerage, with commercial brokerage and residential property management the most common secondary functions, each offered by nearly four in 10 residential brokerages. Other primary business specialties at real estate firms include residential property management, 6 percent; and commercial brokerage and residential appraisal, 5 percent each. Smaller shares of real estate firms focus on land development, commercial property management, commercial appraisal, relocation, counseling, international and auction. The typical real estate firm has been in business for 13 years; 80 percent of firms operate out of a single office and have a median of two licensees. Only 8 percent of firms have four or more offices, but have a median of 100 licensees. Larger firms were more likely to have increased staffing; firms with four or more offices added a median of 10 licensees during 2012. The typical residential real estate firm handled a median of 25 transaction sides in 2012, representing a dollar volume of $4.4 million. Ten percent of a firm’s median sales volume was generated by a website, but less than 1 percent came from social media; however, firms with three or more offices obtained 5 percent of their business through social media. The vast majority of sales were from prior relationships with clients and from referrals. Many related business activities or services are offered by franchised real estate firms in-house, through outsourcing or a business relationship with another firm. Among in-house offerings, 27 percent of firms provide business brokerage (the buying and selling of businesses such as retail stores), 15 percent provide relocation services and 5 percent offer mortgage lending. Smaller categories include home improvement, title or escrow services, home warranty, homeowners insurance, settlement services, other insurance, home inspection, moving services and securities brokerage. Only 22 percent of firms offer health insurance to their independent contractors and licensees, although the licensee typically pays the full cost. Nearly eight in 10 firms provide errors and omissions insurance, but licensees generally must pay for at least some of the coverage. 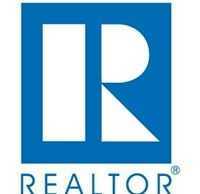 Real estate firms report that 72 percent of their staff have an academic degree. More than eight in 10 have licensees with professional certifications or designations, and more than six out of 10 firms provide training and education programs for their staff or sales agents. The typical firm requires new agents to receive a median of 21 hours of training and continuing education annually, while experienced agents acquire 12 hours. The 2013 National Association of Realtors® Profile of Real Estate Firms was based on a questionnaire mailed to a national sample of 121,931 executives at real estate firms in August of this year, generating 6,671 usable responses. The response rate was 5.5 percent. The 2013 National Association of Realtors® Profile of Real Estate Firms can be ordered by calling 800-874-6500, or online at www.realtor.org/prodser.nsf/Research. The study is free for NAR members and costs $149.95 for non-members.